Some time ago, I shared this story over the course of a few weeks. Inspired by my friend at Suzanne Shares, I’ve compiled it here for easier reading. After the birth of my daughter (baby #2), I sank much further than the usual baby blues. I had a newborn who naturally needed my full attention, and I had a very high maintenance toddler who was just a year and half old. It was hard. It was ugly. It took all I had and more just to get through each day. I remember crying. A lot. But unlike baby #1, the baby blues this time grew deeper. It was terrible in the worst way. The early days of having a baby should be lovely and memorable, but for me and baby #2, it is sadly all black. I have few, almost no, memories of life with my new baby girl. A majority of the memories I do have are not good ones. You see, there was something going on that I didn’t understand. I was depressed. I was smack in the middle of full blown post-partum depression. And I didn’t even know it. Never in my life have I experienced depression. Yeah, I’ve had my down days and times where I thought nothing would ever turn out right and days where I felt like I was responsible for carrying the weight of the world. But nothing could compare to what I experienced. Nothing had been this bad. I hated taking care of my baby. I remember little joy during the first months of her little life. One of the few memories I do have is of me leaning over her bassinet, picking her up to nurse and saying “I hate this”. It was not a one-time thought. I felt so disconnected from her—as if she was just a baby I was taking care of. This went on for 8 months. I lost weight. I lost so much weight I could fit into sizes I wore in high school (this after 2 babies!). I looked gaunt. I had little interest in things and felt far away from family members. Thankfully, my dear mother came over almost daily to help me, and she knew something was wrong. But I know that if you had told me then that I was depressed, I would have thought you were crazy. However, deep inside I thought I was going insane. I had a couple of panic/anxiety attacks—my chest feeling like it was going to cave in on me, my mind not able to hold on to the tiniest detail of what I needed to do. I had never, ever felt like this. I thought I had lost my mind. I wanted to pull my hair out. And then one day, I got a magazine in the mail. I remember standing at my kitchen island and flipping through the pages when an advertisement caught my eye. It was a 2 page spread that was comprised of multiple snapshots. In each snapshot was the same woman, but in each she was expressing an obviously different emotion. In one she was laughing heartily. In another, she sat quietly. In another she was enraged. Another, crying. Another, confused. You name it, she showed it. I connected with her. I thought, “that’s me.” It was an ad for prescription medicine, and my initial guess was that she was manic depressive. That ad showed every range of emotion. But when I flipped the page, there in bold letters was the word DEPRESSION. I was startled. Seriously? That was depression? I thought depression was sitting on the couch all day long with a little gray shadow hanging over me. I thought depression was crying all the time. But this was me. All of those snapshots were a picture of my life. My daily life. It was an exhausting roller coaster. It was bad. It was ugly. I hated it. What’s Worse Than Mom Brain? I’d like to say that after seeing the magazine ad life got better. I’d like to say that I sought out a doctor and talked to a counselor. I’d like to say that I got my life back on track. But the sad fact is that I didn’t. I was the only one who had seen the ad. No one else had, and although they knew something was wrong, I honestly don’t think they considered Post-Partum Depression (PPD). My dear husband probably thought I was anti-baby, after all, I had never been starry-eyed about having babies, and now I was verbalizing my hate for the task at hand. [update: after reading this, he said he knew I was going through PPD, and he was praying fervently for me figuring that I would get mad at him if he suggested I was depressed. He also said he and my mom had talked about me and were pretty certain I had PPD]. He, too, doesn’t remember much from this period. One thing he does remember is us having an argument about future children. He didn’t mind having as many as just so happened to come along. I did not share his view. And even after pounding my fist on the kitchen island and saying a few choice words, we still did not agree. Oh, if only I’d known! I’d like to think that if I had known these symptoms backwards and forwards I would have recognized the pit of PPD in which I found myself. But I didn’t, and who knows if I would have. I just thought I was crazy. I thought I was a bad mother. I got mad about it. I was mad at the hubs. I was mad at God. I was just mad. And then I was sad. I was lonely. I was overwhelmed. So life continued to drag on. Somehow I survived each day (God’s grace). But it was a battle in which I was fighting many enemies, and certain ones added to the intensity of the war. One of those enemies was stress. 1) My attempt to breast feed my little girl turned into a nightmare when she was 4 months old. She began crying at night—every night—all night. I had read about some babies actually developing colic around this age, so after a trip to the doctor, who agreed with our colic diagnosis, we tried our best to live with this sweet little girl who was obviously having problems. But night after night, it continued. We got little sleep. My husband stayed up many nights and allowed me to sleep. After 4 weeks of this, we decided to give her some formula. Previously, she had always refused a bottle since I nursed her, but I guess she and I were both desperate. She took the bottle without hesitation and eagerly downed several ounces. My little baby had been hungry this whole time! It turns out that by the end of the day, my milk was totally gone. I had nothing left to give. She knew this; I did not. Many “lactation consultants” will tell you that stress can’t and won’t affect your milk supply, but I am here to tell you it will! I experienced a total loss in my supply due to the stress I was under (newborn + depression + insanely high maintenance toddler). After switching to formula, my little girl gained four pounds in two weeks, and I gained an infinitely greater amount of mom guilt. I should be on a poster somewhere. I had every single symptoms listed here. Over time, they just got worse (even after the PPD subsided). In addition to all the lovely symptoms listed above, there is a bonus: “you may become more forgetful, your thought processes may slow, or you may feel depressed.” Great. As if Mom Brain wasn’t bad enough! 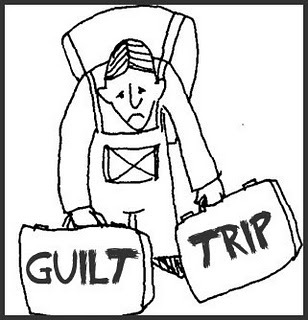 So not only was I overwhelmed, depressed, mad and lonely, I now had a big pile of guilt for starving my 4 month old, and I had a mind that was increasingly forgetful and slow! So what pulled me out of the seemingly bottomless pit of Post-Partum Depression? What made life get better? Believe it or not, it was ANOTHER baby! Yep, after 8 long months of dark days and hopeless nights, my hormones got the life saving shock they needed to bring me out of PPD: I was pregnant. And although I still get a little dizzy thinking about how on earth I survived those 3 years with 3 babies (God’s grace + my Mom), I am thankful for baby #3 because her beginning is what put sunshine back in my days and hope back in my nights. It was as simple as that. However, although a hormone upheaval was what pulled me out of PPD, I wish I had known how to take care of myself while I was going through PPD. And this is the hard part. I didn’t know how to help myself. I doubt I would have listened to anyone else had they told me I was suffering through PPD. But it was obvious that I was struggling. And if not for the support of my Mom and my husband, I probably would have driven off a cliff somewhere in true Thelma and Louise fashion. But this is where it gets serious. I read the headlines and hear the stories of mothers who have injured their babies. Mothers who have done the unimaginable. I am heartbroken. Devastated. I cry for the sweet little life of an innocent child. In the past, before I had kids, I would have said, “How could she? How could a mother do something so terrible to her own child?” But now I understand those mothers. Don’t misunderstand me when I say that. More than likely those women didn’t have the support that I had. Those women probably didn’t know how to ask for help. They probably didn’t have anyone to ask. Those women were probably overwhelmed. And perhaps they were depressed. I remember a day when my son just wouldn’t stop. It was during my PPD, and I didn’t know what to do with him. Frustrated, I looked at him and said (probably yelled), “if I had a closet with locks, I’d put you in it.” He laughed and ran down the hall. I cried. Now, though, my heart goes out to new moms, especially new moms who have little support. And although I’m no counselor, I try to encourage them. I tell them ridiculous stories about my children. I tell them how I thought I was going to go crazy. I tell them the ugly stuff, too. What’s encouraging about ugly stuff?? Well, when you’re a new mom and realize that other moms have ugly stuff, it makes you feel better about your ugly stuff. It makes you feel like you’re not alone. So when you see a new mom, give her some encouragement. A few words might be all she needs to get through the day or the month. Let her know being a mom is hard work, but she’s doing a good job. Don’t tell her that one day she’ll miss “these days”. (I don’t miss those days.) Tell her to keep at it. Tell her that her babies are beautiful, sweet, and loving and that she must be a good mom. It could change her world. Find support. There are many websites and blogs that contain online communities of women helping women. A basic web search will lead to several. As I learned to survive daily life with three babies (thank you, Mama), I was physically exhausted. Of course, who wouldn’t be??! I was chasing a crazy toddler, an 18 month old, and taking care of a newborn. But what I still didn’t know was that hypothyroidism was steadily creeping up on me, sapping what little energy I did have. I’m pretty sure that it started after the birth of my second baby (read about that here), but I had yet to be diagnosed. So now, I was no longer depressed. Instead, I was just fading away mentally and physically…all the while not knowing that I was a poster child for Hypothyroidism. Who knew that one small butterfly-shaped gland could affect your life so greatly. But what’s worse, is that I ignored just about every symptom I displayed–I wrote them off as the result of life with three babies. What made me reconsider these symptoms? My OB/GYN. I love her. She took a look at me, listened to me explain my irregular cycles, my dry skin, my sluggishness and asked me if I had ever had my thyroid checked. Nope. I’d had a doctor suggest it might be low, but no one ever pointed me to the lab, scheduled me with an endocrinologist, and arranged for an ultrasound on my thyroid. She’s great….I love her. I owe her my life. And also owe my life to my endocrinologist (I love him, too) and the tiny little pill that he prescribed for me. It regulates all the important things about my thyroid and makes me feel sane. Makes me clear headed. Gives me energy. It gives me back my life. After almost two years of poppin’ pills, I’m finally used to feeling as good as I do. Most mornings I wake up feeling pretty good. I don’t freak out when something throws off my plans. I don’t feel anxious or foggy headed or constantly tired or any of the other millions things hypothyroidism can make you feel. So it’s been a long journey up the mountain of Motherhood, through the forest of postpartum depression, and into the foggy valley of hypothyroidism, but I am finally seeing the mist rise and the sun shine. The past year has been the first time in 7 years that I have been able to think. I had almost forgotten what it was like. When I was a little girl, I had cats, and with enough cats, I soon ended up with kittens. I loved kittens. Their soft fur, the new smell of a newborn kitten, their little “mew” and their stumbling walk. I spent hours watching them, playing with them, admiring how their mama took care of them and protected them. And I was protective of my cats as well. I thought no one else knew how to hold them, pet them, feed them the right way (read: MY way). So I watched over them quite protectively. However, I have a distinct memory. I’d play with my new kitten, and if you know anything about cats, there is a fine line in cat attitude between “ahhh, please pet me more” and “argh! I’m gonna bite your hand off!” Most people probably stop playing with their cats once the “fighting” begins, but I always let my kitten fight me. Clawing my hand, biting at my fingers with their sharp new teeth. I’d keep tickling their belly while they kept kicking and fighting and biting until they couldn’t take it any more. I wasn’t mean or brutal. I didn’t terrorize them. But I wanted them to be fighters. I didn’t want the to take the easy way out or let some other cat (or person in my case) push them around. I wanted them to stand their ground. It turns out, I’m taking the same approach to raising my girls. I don’t want my girls to be push-overs. I don’t want them to ever think it’s okay for someone to forcefully boss them around, be that verbally or physically or even sexually. I don’t want my girls to be like that. Like every nameless girl in TV ads, magazine covers, and movies. My girls are precious and valuable. And I don’t mean that in a Disney Princess sort of way. I mean that in the sense that they are created in the image of an awesome God who was creative enough to give my girls their own unique version of life’s blueprint–DNA, fingerprints, etc. And not only that, but HE LOVES them. That when they cry, He collects their tears. That when my girls live their lives chasing after His great plans, God softly closes his eyes and breathes in the sweet aroma of a life lived with His purpose. But that life isn’t achieved by complacent, conforming girls. It takes bravery and independence rooted in total dependance on Him. On a practical level, my husband and I have taught our girls to fight if someone is trying to hurt them. Don’t be silent. Scream. Hit. Kick. It’s not right, and you don’t have to be a polite lady when someone is hurting you. And we’ve taught them where to kick, too. I once saw Elizabeth Smart’s father interviewed. When discussing life after his daughter was rescued, he learned that during her ordeal she’d had a chance to run away, to scream and get someone’s attention, but sadly, she had chosen not too. Fear? Brainwashing? Who knows why she didn’t, but she did not do it. Once home, Mr. Smart said he gathered his daughters and made them scream. Made them practice not being silent. And so this is how I am raising up my girls to be fighters–not just physical fighters protecting themselves from bullies and would be abusers but fighters who stand up for what is right and good and just and noble and pure and lovely and admirable. Fighters who don’t conform to the world but strive to follow God. Fighters who know their value and hold on it passionately, never allowing anyone or anything to tell them they are less. My son, coughing so hard he loses his breath, finally sits down to rest a moment. He’s been sick for several days. Who likes to be sick? He’s feverish and chilled to the point of shaking. His little sister (4) is is sitting close by. She is the one who was sick first. She is almost better now. She looks at him with sad eyes, pained that he is feeling bad. I check his temperature. It’s high. He’s bundled up in my sweater, so I persuade him to take it off so his body won’t get too hot. But he’s SO cold…he says. His little sister reaches out to touch him. His feet are purple because he’s so cold–his body caught between fever and chills. She begins to rub his feet and bring back a little pink to his toes. She doesn’t notice that they are the feet of a barefoot boy who has been outside or that he didn’t wash them too well the last time he bathed. No, she just rubs them to warm them up. “I love you,” he says to her. “I love you, too,” she replies. And she keeps rubbing. He looks over at me, looks at his little sister, and warns her that she might get sick if she’s around him. I’d like to think that somehow I had something to do with his willingness to sacrifice for his little sister, but deep down, I know that God has given me a glance into His love. If I could just stop time. No understanding of “I can’t.” Just a strong belief in “Why Not?”. The world of babies couldn’t end fast enough for me. And during the toddler stage, I thought I’d lose my mind…daily. But right here, right now…my heart swells to over-spilling. I am full. I want them to know my love. Will they remember the arms that held them? The voice that said “I love you”? The smile that greeted them after school? The hugs they ran to receive.